Meghan Markle showed off her gorgeous birthday suit-at a friend's wedding. 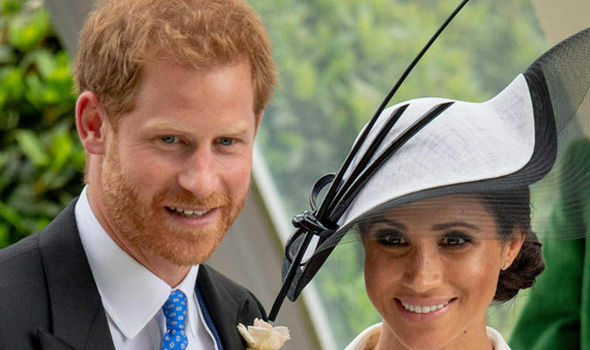 Meghan and husband Prince Harry spent the day attending the wedding of Harry's old friend Charlie van Straubenzee, who married Daisy Jenks in Surrey, just outside of London. Prince Harry and Charlie attended prep school together as kids and have been inseparable ever since. Meghan has been pushing the fashion boundaries ever since becoming the Duchess of Sussex. Meghan wore a navy blouse with a colorful green, blue, pink, and purple skirt to the event, an ensemble she paired with a Philip Treacy fascinator and Aquazzura shoes. According to Pure Wow, Prince Harry has sparked a beard renaissance, and the sales for beard-care products like razors and oils have skyrocketed a whopping 226 percent in the last couple of years. Prince Harry, who was recently named the Commonwealth Youth Ambassador, is expected to carry out a number of engagements in this new role. She opted for a rather interesting frock for the outing. While Meghan won't have to pop down to the shops like us, she has sported Givenchy several times since her wedding, most memorably at Royal Ascot in a black and white ensemble.